Is the security of your home important to you? Of course it is. That's why you need to make sure your garage door is in great working condition. Have a look at our recent projects to learn how our experts can help. 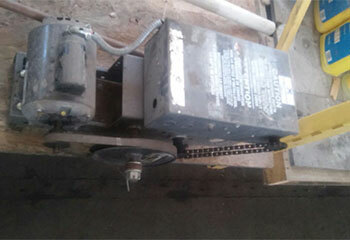 Customer Issue: Two of the customer’s overhead door panels and were damaged in an incident of some sort. Obviously, he needed to have them replaced. 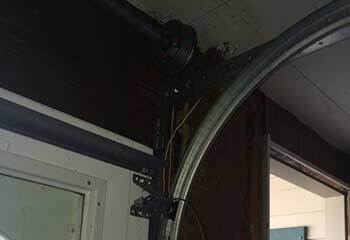 Our Solution: The specific garage door parts needed to be ordered from Sears, but the installation didn’t slightly longer to schedule than expected. Once the new door panels arrived, our team lost no time in fitting them onto the door after removing the damaged sections. Subsequent testing proved successful. Customer Issue: Door not opening. Our Solution: We determined that the main gear drive should be replaced. We unplugged the opener and safely removed the cover, chain and motor assembly then replaced the faulty part with a new helical gear set appropriate for the opener’s make and mode. Customer Issue: Remote control not working. Our Solution: After confirming that it was not a problem with the battery or the opener itself, we determined that the remote had lost the communication with the opener. Upon inspecting its interior we discovered some frayed electrical wiring, so we suggested either repairing the damage or replacing the remote entirely. 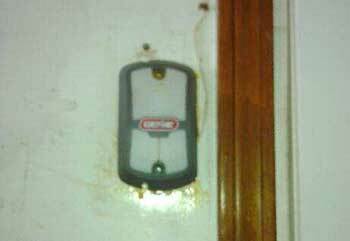 Since it was an old unit, the customer opted for replacement, and we reprogrammed his new remote with his opener and made sure it had no problem controlling the garage door. Customer Issue: Door stuck midway. Our Solution: We began examining the situation as soon as we arrived, and first made sure the torsion spring was fine and that the opener wasn't the cause of the problem. Finally, we noticed that one of the cables got off its drum. We proceeded to secure the door in place, and then disconnected the cable, looped it back round the drum and then reattached it to the door. Our repair specialists are ready to offer you the reliable and effective service you deserve. We always make sure that our customers are completely happy with our work every step of the way. Our ability to quickly offer assistance when urgency is required is one of the things that made us the leading service provider around. 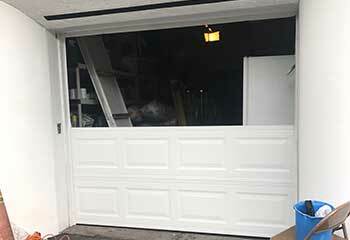 We follow strict guidelines whenever we repair or install a garage door, in order to eliminate all the potential risks.